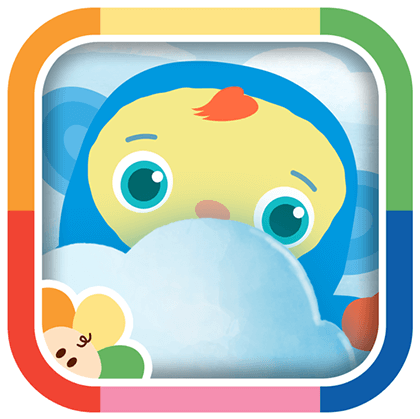 Every baby’s first game is Peekaboo, and this digital version will surely result in lots of giggles with every tap of the screen. The friendly, blue character, “Peekaboo” moves around, animates and makes cute noises that will entertain the youngest of children. Pass the phone back and keep your little one occupied in the car, at the store or wherever you go.